Edge-Lok 3 | Metal Edge System | ATAS International, Inc.
Edge-Lok 3 is a three-piece fascia system designed for Modified and BUR Roof systems, but is also suited for heavy or stiff single-ply membrane systems. It includes a continuous 22 ga steel cleat and 24 ga steel cant that are pre-punched with slotted fastener holes for proper installation, and a snap-on cover that is available in a wide variety of materials, gauges and colors. 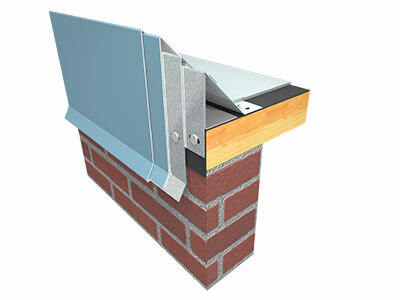 Edge-Lok 3 is provided in 12’-0” lengths, with interior splice plates, and required nails to complete the system. 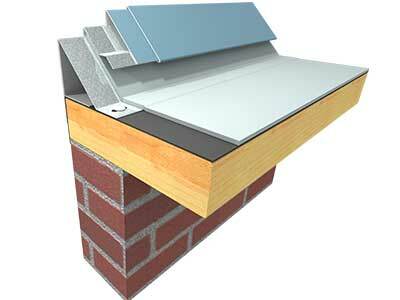 The three-piece design accommodates thick roof membranes while still allowing for thermal movement of both the fascia and roof systems. Edge-Lok 3 has a 20-year 120 mph windstorm warranty, and has been tested per ES-1 as required by International Building Code for low-slope perimeter edge systems.